For Every Action, Is Your Reaction Productive? We have thought about consequences to our actions, but have we thought about consequences to our reactions? After all, it is not really about what happens to you, but how you react to it that matters. Like in chemistry, it is the reaction that determines the end result. When something happens that we never wanted to happen, we usually develop a scenario in our minds of how it could have been different. In other words, we focus too much on what happened, and not how we can move on from it. And that is not really a productive way to handle anything. 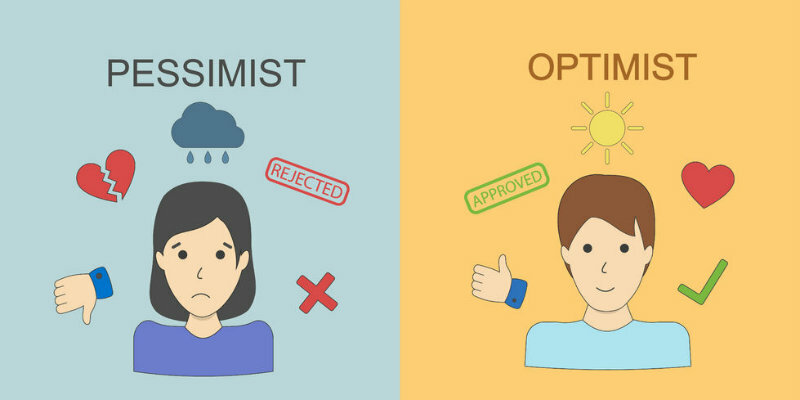 Do You Think Positively or Negatively? Let’s say you were at a convenience store, along with other customers, and someone came in to rob the place. Shots were fired, and you were the only one to get shot. The bullet grazed your arm, but nothing life-threatening. Now, what would be your emotional response to this situation? Were you lucky because you survived? Which idea is going to lead to more positive and productive emotions about the event, and help you move on from it faster? We often believe that whatever happens makes us feel “good” or “bad”. As it turns out it is the lens we use to view these events in our minds that conjures the emotion and determines how we feel, and therefore, what our reactions are. When actually, we can train our minds not to let our feelings dictate our reactions. On a plane ride once, I was watching how the flight attendant (in my mind) seemed overly demanding and almost annoying passengers to fasten their seat belts and turn off their phones. Yet, I was really in a bad mood and passing my feelings on to him, probably judging him for just doing his job. I then took a step back and remembered my own morning. I was not in a great mood because I overslept and almost missed my flight, and I had not even had time to eat. To end up treating him as if he were in fact a rude person would be completely unfair. It would be a story that I made up just to make myself feel better about my own negativity. I would essentially be projecting my bad mood onto others. And that certainly is not productive. We end up making up these stories in our minds all the time. But what we can do, once we are cognizant of these behaviors, is change them. We can make up a different story, a more productive way of thinking. Instead of seeing the flight attendant as rude, I could see him as meticulous and making sure we are safe. This “story” could then be better for both of us, and I could have a better experience on the flight. Not only does this way of thinking end up as a win-win, but it might even brighten someone else’s day. If your first reaction to a situation is negative, stop in that moment and imagine “Am I just projecting my own feelings on this?” You will benefit from a more objective way of thinking. At work, with your teams, you might not know the whole story why someone did not say hello that day, for example. But they could be having a horrible day, and not want to project their feelings onto you. Or there could be even another reason. Whatever that reason may be, you can never assume one “story” over another, especially if you have no idea of the truth. What you can do is imagine a positive explanation, which will give you a more productive reaction. As humans, we do tend to string the events of our lives together, tying them into one big story, made of up many smaller stories. So why not make the best of these “made up” stories and turn them from the negative into the positive? Do you feel yourself reacting negatively towards your team, just because of a disappointing situation? Or maybe you have noticed some negative behaviors coming from some team members? Get in touch here, and we can discuss a plan to get everybody in the right direction with team building for measurable results. How do you react to things that happen to you? Have you noticed you might perceive events differently during times when you are already in a bad mood? Here we talk about how reactions do matter, and can change the end result completely. Which Is More Important: Emotional Intelligence or IQ?